Jean-Paul Sartre started calling himself an existentialist in the 1930s. 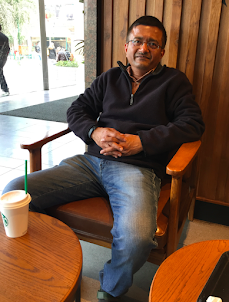 To explain the tenets of his philosophy he wrote like a novelist—which is not a cause for surprise since he was a fiction writer. In 1938 he came up with a novel called Nausea which is regarded as a manifesto of existentialism. He went on to write several philosophy books to further explain his ideas on existentialism. Like Sartre, Ayn Rand too was a fiction writer; unlike him she did not give a name to her philosophy in the initial years of her writing career. Her novel The Fountainhead in which she offers an account of her philosophy of individualism was published in 1943, but she started looking for a name for her philosophy after the publication of Atlas Shrugged in the 1950s. 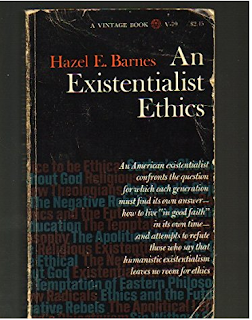 She felt that word “existentialism” would have been a good name for her ideas, but this word was already taken—Sartre’s existentialism had become a major intellectual force in Europe by the end of the Second World War. Eventually Rand picked up the word “objectivism” in 1958. After Sartre died in 1980, existentialism started fizzling out, and by the end of the decade, the movement was extinct. The fate of Rand's philosophy was not too different. Objectivism had been meandering confusedly since 1968 when Rand had a nasty breakup with her main disciple and associate Nathaniel Branden. Soon after her death in 1982, objectivism ran out of steam and it currently has a very small following. 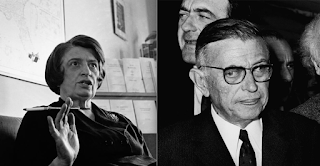 But in the 1960s, when existentialism was at its zenith, and objectivism seemed to be on the ascendent, several scholars had started believing that the two philosophies were destined to collide and compete. In the 1960s no one could have predicted that by the end of the 1980s, existentialism (with a capital “E”) and objectivism (with a capital “O”) will become irrelevant. It would not be a distortion to say that both Objectivism and existentialism call for the assertion of the free individual against those theologies and those oppressively conformist societies which seek to make him deny his unique self in the interests of ready-made social molds and values. Both oppose a psychology which would reduce man to the animal level or to a mechanistic pattern of stimulus and response. They are equally opposed to the soul-body dichotomy of traditional theology. Objectivists and existentialists argue that every person is responsible for what he has made of his life Each man is ultimately a free choice. In so far as they claim that man himself is his own end and purpose, both may properly be called humanistic. This is an impressive list of parallels. One might easily suppose that with the sympathetic sharing of such fundamental premises, the general similarity in their over-all positions would outweigh any differences in detail. Only what emerges is not a common point of view. It is not merely that Rand and Sartre differ as to how the individual should go about engaging his freedom and asserting his newly discovered self. One discovers that somehow words have not meant the same things in these descriptions. The self and its freedom do not mean for Rand what they mean for Sartre. If we examine these basic premises and starting points closely, we find that only one is left standing as a common landmark. That is the rejection of God or of any form of belief in an eternal spiritual world beyond the human. Man remains the author of his own destiny, the creator of his own values. Further in the essay, Barnes points out that Rand and Sartre have serious disagreement on existence and man’s place in it. She is essentially saying that Rand says, “Existence is identity,” Sartre says, “Existence precedes essence,” and the two shall never meet. Rand believes that it is possible for a man to undertake an action that is completely good, whereas Sartre holds that when it comes to specific choices in the real world, the complexity of life is such that no action is pure and every man must make the best possible choice based on his own judgement. I reject Objectivism, not because it is self-centered or because it seeks self-aggrandizement. I criticize it for being selfish in the pejorative sense of restricting the horizons of the Self so as to leave the self-center, not enriched but impoverished, not blown up but withered and blighted. 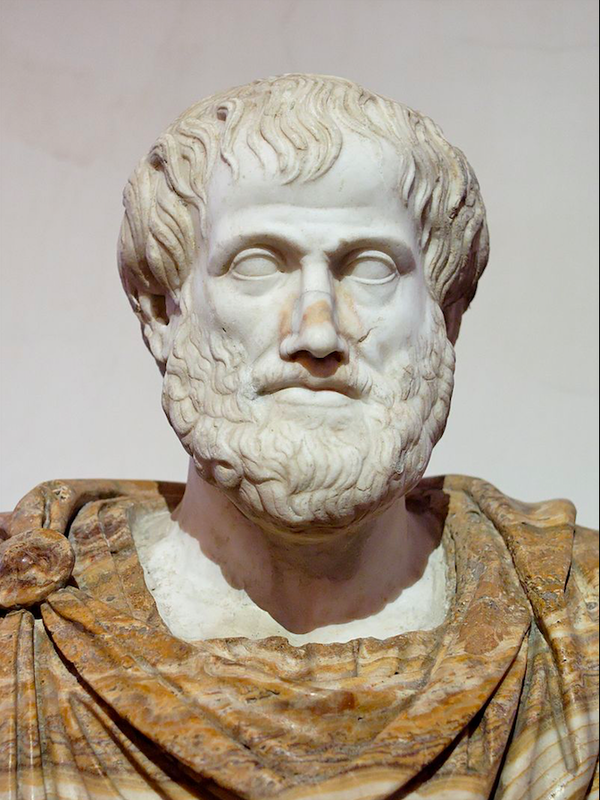 The Self of the Objectivists runs the risk of the only child—it is not unloved, but it is likely to be spoiled, ailing, and fretful, due to the overprotection and the too close attention which prevents the growth of responsible freedoms. Given her definition of “collectivism,” however, equated with “statism” and applied indiscriminately to Nazi Germany, the Soviet Union, and any liberal government which does not definitely eschew the concept of Welfare State, then Rand’s statement that “historically racism has always risen and fallen with the rise or fall of collectivism” is not supported by evidence. This was not the case with the ancient Graeco-Roman world. The thesis is particularly hard to sustain for the United States. Rand attempts it by stating, “It is the capitalist North that destroyed the slavery of the agrarian-feudal South in the United States.” It is true that the North, because of its greater industrialization, had less need for slaves, but it was not the capitalist leaders of the industry who became fervent abolitionists. It was the liberal intellectuals and religious idealists. Nor should one equate the near-feudalism of the South with collectivism. Rand entirely ignores the fact that, in the twentieth century, it has been the Liberals who have consistently spearheaded the pressure for civil rights and nondiscriminatory legislation. 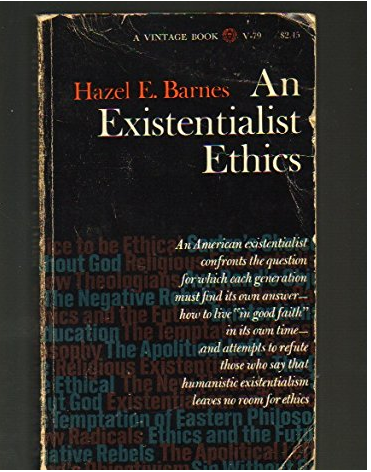 There are several problems in Barnes’s critique of objectivist ethics, but a part of her criticism is right. For instance, she is right that Rand has used bad historical evidence to prove that there is a connection between collectivism and racism. Indeed, it was not the businessmen of the North who were fervent abolitionists—it was the liberals and religious idealists (who can also be seen as collectivists), and all the farmers of the South were not collectivists. But it was the progressives who stole the name of liberalism that were the racists of 100 years ago, such as Woodrow Wilson. It was the classical liberals who as well as the Christian Socialists aka Progressives opposed racism. Not until the mid 20th century did the progressive liberals morph their racism into a paternalistic "White man's burdern".